I love these cars so very much. I had no idea how solid these cars were until I tried to take one apart with a plasma cutter. The Mustang took a day. The Supra took weeks! I remember taking apart a Supra for the first time and was amazed at how well it was built. No plasma cutter, but it was a great car. Everything fit together and was incredibly logical to disassemble. You can't say that about every car. I'd love to have a nice second gen car. They're pretty rare these days in nice shape. The first car I legally drove on the street was an '84 Supra sport in white. I have a very soft spot in my heart for these. Owned an 84 P-type (the version seen in the article, with the flares) for about 5 or 6 years. Was a fantastic car, but even with the 6m swap a previous owner did, it was a dog at the 6500' altitude where I live. Still... handled good even with worn out everything. Build quality overall was excellent. Was a perfect daily driver, fun enough to keep things interesting, quiet enough to not wear me out. Don’t forget, it’s an ra65 celica from the firewall back. My celica is sturdy, even for its 33yr incumbency. Someone had one of these for sale down the road from me. Except it was an L-type, so no cool fender flares. And it was an automatic. And I know for a fact that that car sat outside for years at a time. And he still wanted 5 grand for it. I met Don Lew when I started autocrossing. 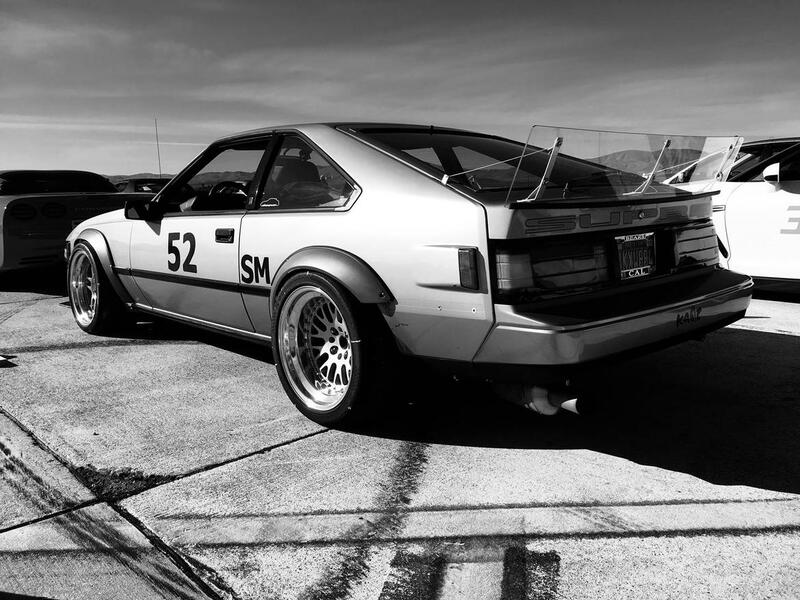 That Supra, in DSP trim at the time, was one of the first cars I ever rode in during an autocross. I loved it. I started watching classifieds and craigslist for one similar for a while. My reality at the time was I didn't have funds or space for another car, even if I had found one. My Dad had an 85 Supra, really well done car. Had decent power for the day, but today I'd want to swap in the 3G single turbo motor to give it more grunt. I spent a lot of time in these as a kid---- Dad had an 83, and an 85.5 (with the twin rear spoiler) Both were great cars. Not fast, but not slow either. They were great long-distance cars, with fantastic seats and a sporty, but comfortable ride. They were like a "poor man's" Porsche 928. I think the styling has aged very well. The L (luxury) packaged cars had a wonky digital dash, no flares, no cool seats and most were automatic. The P (Performance) cars had the flares, wide wheels, great seats, analog gauges, etc. I really wanted one of these in college (early 80s), but could barely afford to eat. 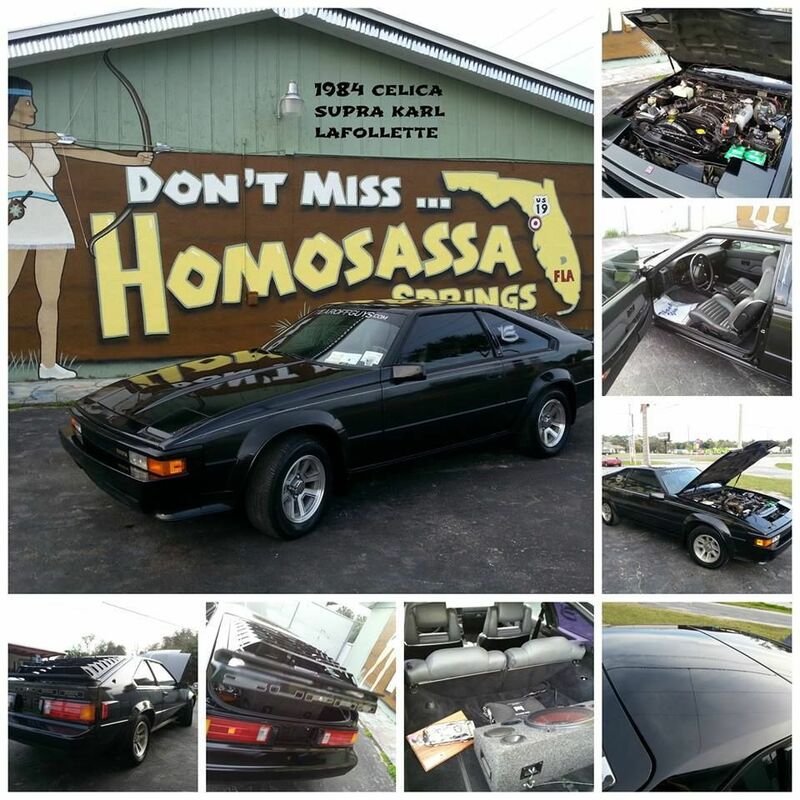 After I graduated, I discovered the Honda CRX and never considered looking for a used Supra. They still look good to me eyes. though it is way down on power compared to an I6 I preferred my 86 mazda rx7 gxl. not quite ujsp . universal japanese sports car lol it was just smoother ,sanded off the folded edges previously common in the class. and cut like a ginsu knife with titanium edge on the road . heck when did get olde? Another fun fact about these cars, those stock 14x7 wheels only weighed about 10 lbs each, due to being magnesium. They were the RPF1 of their time. Before I let a friend buy mine, I was seriously looking into a 3SGE BEAMS swap from the Altezza, came with a 6 speed and a rev-happy (and much lighter) 4 cylinder that in BEAMS configuration made about 220hp. Other considered options included a triple carb setup for the 6M (for the sound), and a 1uz swap. Realized that the Mk3 that I was building at the time required my full attention and funding, so I let it go. I'd say I don't miss it from time to time, but I'd be lying. Wait... what? Are you sure? Magnesium wheels are very expensive and nearly impossible to keep from corroding, especially for street use. They were silver painted. I had a set that had been bead blasted to a bare finish, and while they looked nice, once I spent a bit of time driving, they deteriorated a bit. I may be mistaken, but I've NEVER held an aluminum wheel with spokes that thick that was anywhere near that light, so I'm fairly certain that the stock wheels were in fact, magnesium. Oddly I can't find anything confirming this, I'm gonna email a friend who has been into these cars since the early days, see if he has a good reference to back up the claim. Friend mentioned in my post above got back to me. 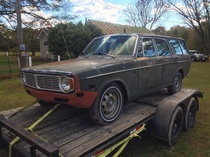 He's owned these cars since sometime in the 90's, and is of the opinion that they are an aluminum alloy of some sort, as far as the wheels are concerned. I'm still of the opinion that they're magnesium, due to the freakishly light weight. We're talking sub-10 lbs for a 14x7, and if you see the thickness of the spokes, you'll understand why that might be difficult with aluminum to achieve such a light weight. Next time I'm among the truly wise old guys at the annual Vegas meet, I'll have to ask what's what. Being a third gen celica owner, I’m gonna have to disagree here. The GTS wheels are lightish, but definitely not 10lbs or less. Let me see if I can get a forum buddy to weigh them, I sold my GTS wheels awhile back. Edit- he got back to me. 15-16lbs each. Thanks for all the kind words! The Supra is still being developed, always and ongoing process to make it more competitive and more importantly more dependable as the power levels have increased the stress on the chassis/drivetrain. After some suspension changes, turbo upgrade, LSD upgrade, the current project is developing stronger rear half axles and CV joints. Hopefully new axles will have the car back onto the autocross courses in the next few months. Oh, the stock wheels for the P-type models (like mine) are indeed aluminum allow, 14x7, +8mm offset, at 15 lbs each. Pretty light for the size, was quite popular as a cheap upgrade for the AE86 folks on their cars. 15 lbs huh? I stand corrected. Was probably the second lightest wheel I'd ever felt to that point in my life, compared to everything else I had ever held, it was eerily light, especially for an old OEM wheel. Combine that with being in the best shape of my life at the time, and I can see how I thought they were lighter. Darned arm calibration must have been off haha! Thanks for the correction!